Pools Unlimited Inc. has designed and built custom swimming pools in Memphis, Germantown, Collierville, Bartlett, Olive Branch and Hernando since 1976. Whether your dream backyard consists of a custom swimming pool, spa, deck or water feature, Pools Unlimited is the best for new pool construction in Shelby County and surrounding areas. Pools Unlimited Inc. is dedicated to quality new pool construction from the start to finish. Quality starts with planning. Planning begins by consulting with you the homeowner on your pool construction needs and desires for the backyard. We can then provide ideas and suggestions that compliment your vision for new pool construction and backyard design. Whether you are looking to incorporate a sun lounge or soothing water feature, we can assist you in all your pool design options. From design to finish, the general construction timeline is 4-6 weeks depending on design complexity and weather. Once a contract is signed, the pool construction process begins to move forward. Pools Unlimited Inc. follows all state and locals codes to ensure the highest quality and safest new pool construction process. Quality is maintained throughout the construction process through customer interaction to achieve superior satisfaction. [wptab name=’Automation’] We can automate virtually everything, for a better backyard experience and more time to enjoy it. 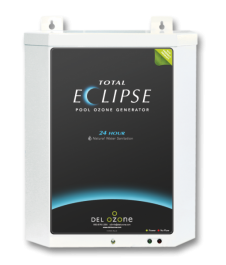 [wptab name=’Pool Sanitation’] DEL Ozone proudly introduces the revolutionary new Solar Eclipse, a small Advanced Oxidation Process system for residential pools. 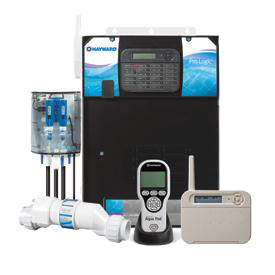 This new system takes pool sanitation to a new level. 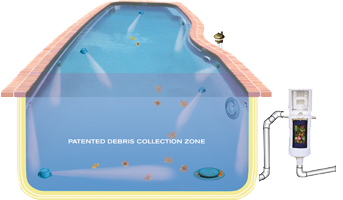 [wptab name=’Cleaning Systems’] When it comes to spending your free time in Memphis, Germantown, Bartlett, Collierville, Olive Branch, Hernandothere are more important things to do than tending to your swimming pool. Thanks to PV3, the automatic In-Floor cleaning and circulation system, your pool can be built to clean itself while you relax. Built right into the pool shell PV3 is engineered to clean your entire pool, including floors, steps, benches, even spas. 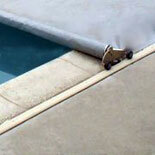 When not operating, PV3 disappears back into the pool floor, making it virtually invisible. There are no vacuum hoses left floating in the pool. All that’s left is a sparkling clean pool that’s ready to enjoy. PV3 is custom-designed for your unique pool shape. It is so effective that it will clean 99% of your entire pool, guaranteed, as well as significantly reduce heating and chemical costs for the life of your pool. [wptab name=’Automatic Pool Covers’] Our Coverstar® Automatic Pool Covers provide safety, substantially reduce water evaporation, reduce chemical consumption, aid in heating the pool water, and protect pools’ interiors by preventing dirt, leaves and the other debris from accumulating. A Coverstar cover makes it easier to relax and enjoy your pool in Memphis, Germantown, Bartlett, Collierville, Olive Branch, Hernando! The ECLIPSE is engineered with safety as a top priority. While pools provide great fun, relaxation and enjoyment there are also very real safety issues for children and pets.